Vancouver Canucks: A Case For Sedinery. **I apologize in advance for the length of this post, but there was a lot to say. Henrik and Daniel Sedin deserve better, VANCOUVER. 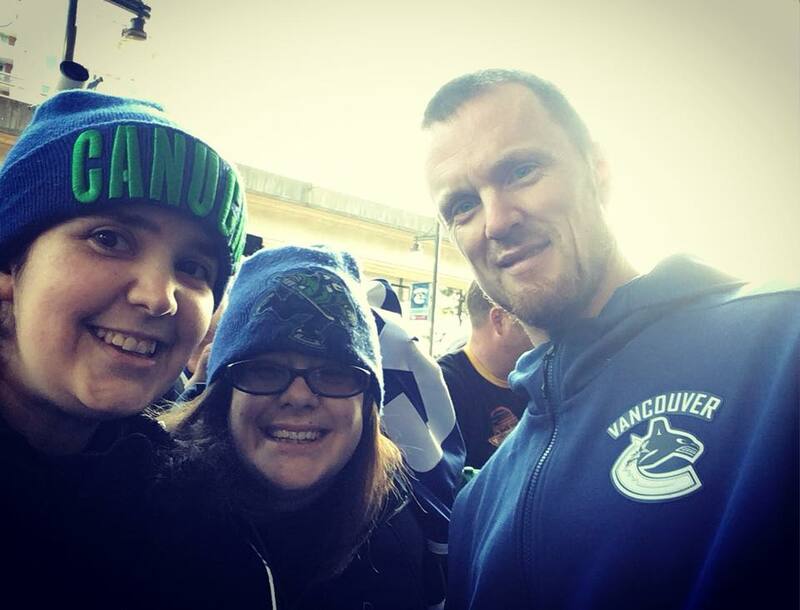 There is one thing that all of Vancouver fans owe to the Sedins, and that is RESPECT. It’s true that they often do not get the credit they deserve from the East Coast, but lately that disrespect has started to creep over to the West Coast and the city itself. They have given everything they have and more to the team, the fans, and this city. No matter how great a season they or the team had, it’s never considered enough. When the team is playing well, somehow they aren’t responsible for the good luck but when things go south, the weight is put on their shoulders. All of the blame is often thrown at them. Winning or losing, somehow it is never enough. Have they had stretches where they’ve struggled? Yes, but so has every single player to ever play the game. Every game, every practice, every season, they have taken on the weight of the city that is laid upon them. One day it’s praise for their Swedish scoring finesse or community work, the next it’s non-stop critiques and tearing them down, with the fan base often following suit of the media directed opinion. One day, everyone loves them, the next people are calling them out for reduced point production or begging for the team to move on from them. Oh how quick we are to forget all that they have done for this team and this city. It is most recently forgotten with the emergence of Bo Horvat and the rise of Brock Boeser, that the Sedins are destined to not only have their jerseys retired by the team but to be inducted into the Hockey Hall of Fame. So let me help you out. I’m going to tell you a part of the tale featuring: TWO future hall of famers named HENRIK & DANIEL. So take a seat, and prepare to listen the whole way through. Picture it: it was the 1999 NHL draft and somehow Brian Burke managed the impossible of drafting not one, but BOTH of the Sedin twins. There had been some dark days after the Canucks 1994 run…(Ahem the Messier experiment…) and that fateful day at the draft in 1999 was the beginning of a new era: SEDINERY. NHL Draft day 1999: The beginning of the #Sedinery journey. Henrik and Daniel would not make their NHL debut until October 2000. Even in the early days of their career, there was a massive pressure on their shoulders because of all the hype. Everyone expected them instantly to be successful and showcase their finesse with the puck and they did at times. Those early days they showed flashes of what was to come but it was not yet at their best level and everyone from the media to the fans made sure that the twins heard how they could and should do better. It couldn’t have been easy to come into a city and league with massive expectations already on their shoulders before they even stepped onto the ice. Every game, every season the pressure seemed to amp up around them and the team. Those first few years when the struggles of the team and their individual games, the rumours swirled faster day by day that perhaps the Sedins were not meant for success and perhaps the team should cut their losses and move on. Oh what a mistake that would have been! Yes, it’s true that it took the Sedins a few years to hit their stride, but when they did, what a journey it has been to witness as a Canucks fan. Those first few years were not easy, and then the lock out happened which forced many players into playing overseas for a season. Perhaps that lockout year in 2004-05 was a blessing in disguise, the twins played for MODO back in Sweden, and it helped spark the turn around for them. The puck dropped on the 2005-2006 season and the Sedins came back to the Canucks setting career highs in points behind captain Markus Naslund. That season was also when Anson Carter became the first “third” Sedin, as a line mate that consistently was able to get the twins the puck and anticipate where he needed to be. It was an exciting line to watch that season. Cue the following season, when Roberto Luongo helped back stop the team to the 2007 NW Division title heading into the playoffs and HENRIK scoring the game winner in quadruple overtime of game one versus Dallas. I still remember so vividly that never-ending overtime and the pure elation when that puck crossed the goal line. No, it wasn’t a series winner, but any game winner in quadruple overtime is a memorable goal. The 2nd round was not our forte….but there were some great moments despite the loss and the blame cannot all be placed on ONE player so do NOT go there. The following season wasn’t perfect but the Sedins were still consistent, Trevor Linden played his final game and the team showed flashes of what they could be with a promise that they would be better the following season. The[ 2008-2009] season opened with the Canucks beating the Flames 6-0….that was certainly an amazing opening act. And yes, I recall that tough 11-game losing drought that came in January…and how everyone wrote the Canucks off from playoff contention. Once again the team looked like it would be on the outside looking in, once again all of the rumours became everyday vernacular. And then came one fateful February game where it looked like the streak would stretch to 12-games, out of desperation for something to change the course, a pesky Alex Burrows who no one would’ve suspected to be a game changer, scored the goal that ended the streak. It was not long before Burrows was dubbed the official “Third Sedin” or a triplet, they played unbelievable down the stretch to win their 2nd NW Division title in 3 years and just like that the city became crazed in playoff dreams. The first round brought the St.Louis Blues and 2-0 series lead gained at home…including a shutout in game 2. ***let me just say that going to a playoff game is even more incredible than during the regular season…! The Canucks would go on to gain a 3-0 series lead with a chance to sweep..something they had never done before EVER and of course it came down to less than 20 seconds of OT[looking certain to go into a 2nd overtime] but who else but BURR gets to goal for the SWEEP!!!!!!!!!!!!!!!!!! Great goal-tending & an excellent PK won the series hands down….the next round brought out the Chicago Blackhawks….and well it started out great….1-0 series lead….2-1 series lead….a back & forth game 6 that looked briefly as thought the Canucks would win….but of course we all know what happened…they didn’t and this was the 1st heart-ache the Blackhawks caused me and also ignited a deep loathing of all things Chicago Blackhawk related. The [2009-2010 season] brought out special circumstances with the Winter Olympics being smack dab in the middle of February and requiring the NHL to pause their season for 2 1/2 weeks while many players represented their countries in the event. The Sedins who had previously won an Olympic gold medal with Sweden in 2006, had a special opportunity to represent Sweden on their regular season home ice. No medal for them in 2010, but that must have been some kind of incredible experience to see the Olympic games take place in their arena. Upon returning to the regular season, Henrik and Daniel returned to the lineup and helped the team win their 3rd NW Division title in 4 years and HENRIK won the Art Ross Trophy with 112 points! The 2010 playoffs once more brought excitement to the city still high off of Team Canada winning gold on home ice at the Olympics. Round one went back and forth with the Kings[some great glove saves on both sides..particularly that one LOU had on Smyth! ]…but it was the lack of penalty kills and WAY too many penalties being taken that nearly cost this series…..I remember thinking just kill ONE penalty and stop taking more….and finally they killed one and then another and then a few big saves…and a game 4 won to tie the series..and suddenly they were in control of game 5…and game 6 WON! Round 2 once more brought the Blackhawks from the windy city…and once more it started out great…1-0 series lead….but then down 3-1…….and then game 5 WON…..and hope once more….but we all know what happened in game 6…..it wasn’t pretty. 2 years in a row….twice in 6 games the Canucks were eliminated by Chicago…twice they were the better team. It ignited an even greater dislike of all things Chicago Blackhawk related. The [2010-2011 season] was all kinds of awesome. The Sedins continued their dominance and helped to lead the Canucks to their BEST franchise record EVER…[54-19-9…earning 117 points to earn the Presidents trophy securing home ice for the entire playoffs] in which they led in all the important categories : #1 powerplay #1 penalty kill(*3rd by playoffs, still amazing), #1 in goals scored and #1in least goals allowed. The Sedins continued their dominance league wide. They won the NW Division title for the 4th time in 5 years and won the entire regular season in the West & the East….the next best team had 109 points. This time it was DANNY that won the Art Ross. The Canucks opened the playoffs against their playoff nemesis Chicago Blackhawks…yes I know..3 years in a row…how is that even possible?! The Blackhawks were lucky to make the playoffs in 2011…but still they had a talented team. The Canucks knowing that if they were to go a long way MUST beat the previous Stanley Cup champion team. It was a fantastic 1st 3 games…the Canucks led the series 3-0!! Seemed just right.but we should all know to never count Chicago out, the Blackhawks started playing the way they always do…and got themselves right back into the series…tying it 3-3….leading to the inevitable game 7…do or die. There were so many implications going into that game….and then it started…LU opened with some great saves and then KES to BURROWS…SCORES!!!!!!!!! and the score remained 1-0 for nearly the entire game…a missed penalty shot….then there was a last minute powerplay which ended up with the Blackhawks tying it shorthanded rather than 2-0 it became 1-1. Overtime for all the marbles….Canucks take a bad penalty….SHARP goes for the goal…but STOPPED BY LUONGO….and suddenly the penalty is over. Campoli misses the clearing attempt BURROWS steals and SCORES!!!!!!!!!!!!!!!!!!!!!! The dragon had been slayed…or as Jim Hughson said it: “it’s a great day for an exorcisim, Vancouver!”. SHARP shoots…GREAT SAVE LUONGO!!! Campoli misses the clear, BURROWS steals…shoots SCORES!!!!!!!!!! THE CANUCKS SLAY THE DRAGON!! BLACKHAWK DOWN! The games that followed were an amazing run….and one of these days the Canucks will win the cup[every team will have their day]. It was a heck of a run, the entire city was transfixed from beginning to the end. That season that followed…maybe it wasn’t as amazing as the 2010/2011 season…but it was still a great one…that ended in a 2nd President’s trophy. BURR scoring & LOU stood tall to end the streak in Detroit….these two teams always play great against one another. And maybe there was no magical playoff run this time…but DO NOT place all the blame on Luongo or any one individual player. That is illogical. It breaks my heart to think of how quick when things go wrong that the local media(The Province & The Vancouver Sun in particular) followed by the fans are to solely blame the goalie, the Sedins,…even if the entire team struggled…but all the media focused on the Luongo’s mistakes, and the Sedin’s lack of scoring. I’m sick of it. There were so many factors that led to the end of the team’s season, so many “what ifs”. And yes, the years that have followed haven’t been easy for the team. Many of the players that were a part of that 2011 run have moved on to other teams or other leagues. The Canucks as a team have only made the playoffs twice since then and according to many seem destined to be out of the playoff picture for years to come. The last few years, many media and fans on social media have been taken with the notion of tanking in order to ensure a top 3 draft pick(which as we’ve all seen is NO guarantee). And yes, the Sedins aren’t exactly in their prime but they still bring consistency night and night out when they are in the lineup. The Sedins have continued to hit milestone after milestone in this league and with this franchise, most recently both surpassing 1000 points in the NHL. During this most recent stretch when the team was missing some key players for more than 20+ games, it was Henrik and Daniel leading the way quietly with a combined 45 points. Why after everything they’ve endured the last 20 years, would they want to come back? For the money? No, it’s never been about the money for the Sedins. They are leaders on this team, on and off of the ice. With an influx on young players, it would be all kinds of incredible They love this game, they aren’t done yet and no matter what the media from the East coast, or the West Coast, no one can take that away. And if we let them, they will keep giving it all to this city and this team. And if they choose to hang up the skates after this season or come back for another year, they deserve our utmost respect every step of the way. The Sedins have more than earned that, and as a whole, Vancouver, we can DO BETTER. Let’s DO BETTER. So the next time you think about following the media’s standpoint on criticizing a player..just think back to what they have done for the team, the city, and the fans…do not just adopt their attitude presented in their article because it is not always true.The fans should not be taken in by the media’s tirade on the team or their players. I would hope that the local media would report the accurate facts not just when things are going well but also when things aren’t going well for the team. Instead during the difficult stretches, it becomes an attack on the players and coaches. Just once, it’d be nice if they would encourage the fans and the city to still cheer loud because that positive perspective can go a long way. I will never understand how the local media when things go bad can never find one decent thing to say about the team…but only the negatives…and if that is all the fans are reading…suddenly those become the thoughts they are thinking when a similar spiral begins and they too start sharing the same negative blame placing attitude. It is unacceptable and hopefully in the coming season things will change. How would you feel if every time you opened the paper there was a new article about how everything that is going wrong is yet again somehow YOUR fault….it would be ridiculous. Hockey is a TEAM sport…a TEAM game…and like any TEAM game…TEAMS win or lose TOGETHER. 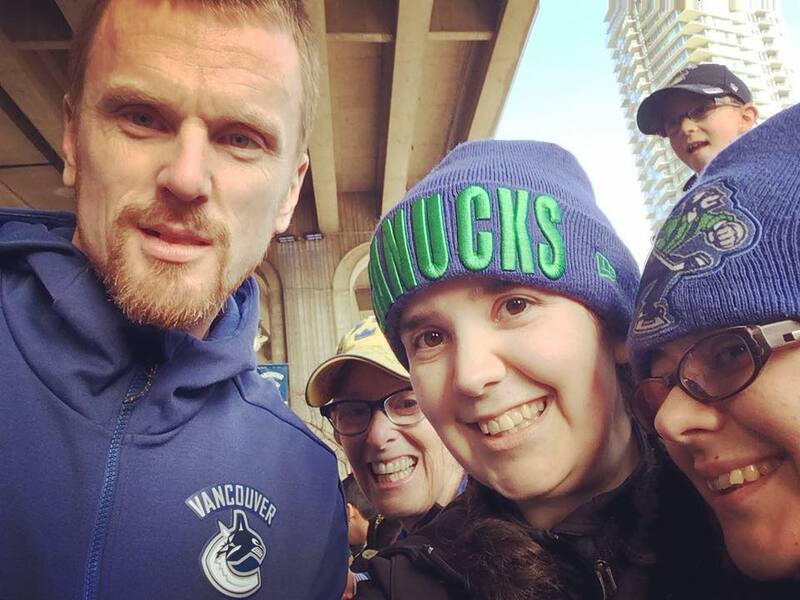 A piece, I wrote for the Sedins at the start of the 2017-18 season: Thank-you, Hank & Danny. They said it was impossible. They said the twins would never be in Hockey Hall of Fame discussions. First, they said Henrik couldn’t achieve the feat and then he did. Then they said that Daniel couldn’t either. Now, Daniel has once again followed Henrik’s name into the history books. They said him and his brother didn’t have what it takes to make it long term in the NHL. They have spent years berating him and Henrik for everything they do on and off the ice. They have no idea just how valuable these two players have been to the Vancouver Canucks organization, fans and the city of Vancouver. 18 years of nothing but all class from their humble beginnings to their now storied careers. Daniel Sedin deserves all kinds of respect in the hockey world despite the arguments from those on the outside that suggest otherwise. They can keep telling us all the insults, there is not one negative thing that Canucks fans haven’t heard over the years about the Sedins. The Sedins will just keep proving why they ARE deserving of being inducted into the hall of fame, one day down the road. From a rookie searching for his game to a now seasoned veteran leading the way on and off the ice. Thursday night was all kinds of incredible for Canucks fans to witness as Daniel Sedin had another night following Henrik into the Canucks record books. For Henrik, fans were lucky to witness the feat on home ice, but for Daniel this milestone came on the road in Bridgestone Arena. Sitting just 14 points away from the milestone at the start of the season, you could feel the energy building up among Canucks fans as Daniel edged ever closer to the milestone moment one game at a time. Heading into the game against the Nashville Predators, you could feel the anticipation in the air. There was a buzz among fans and the media as we were ready to witness Daniel Sedin reach yet another milestone. Heading into the game against Nashville, the Canucks were coming off of a tough stretch in recent games with some tough losses followed by the devastating news about Derek Dorsett, the team needed a boost. Daniel was sitting at 998 NHL/Canucks points before the puck dropped. From the start of the game, Daniel and Henrik were buzzing, you could almost feel the sedinery that was about to unfold. Sometimes hockey is pure magic and if you’re really lucky you will get to witness a player hit a milestone that anyone and everyone said was impossible from day one of his career. Daniel scored a goal assisted by his brother to notch his 1000th NHL point against one of the best active NHL goalies, Pekka Rinne. Heading into the last few games, every Canucks fan knew the possibility of what we might witness from a far and were hoping it would be more than an assist or an empty net goal, and boy did Daniel ever choose the perfect moment to deliver his 1000th point in style. Daniel was just two points away from the milestone. A scoreless first period was followed by a back and forth second period that saw the Predators holding a 3-2 lead after 40 minutes. With the Canucks down 3-2 to start the third period, Daniel led the charge with scoring the game tying goal from Brock Boeser and Henrik on the power play. The ONLY downside to Daniel’s milestone 1000th NHL point is the fact that it happened on the road instead of on home ice. My favourite part of the moment, was seeing the ever legendary magic of Sedinery aided by the ever growing magic that is the FLOW, Brock Boeser. Welcome to 1000 points club, DANNY! WHAT A MOMENT! 1000 points is an incredible feat for any player to have in their career, even more incredible when it happens entirely with one organization. Daniel is the SECOND player ever in franchise history to amass 1000 points with the Vancouver Canucks. And yes, there has been a ton of buzz about the rise of rookie Brock Boeser making a race for the Calder, but yesterday was about Daniel Sedin. Daniel was looking like a determined player ready to have one of his best games of the season. He got 999 points on an assist, but that didn’t stop him, he went on to get that milestone 1000th point and his 1001st! After such a milestone night, Daniel was ever the humble one, acknowledging that as big a moment as 1000 points in the NHL is, he was happy with how the team came back to win this one for Derek Dorsett. He was happy to get milestone, to see players like Brock and Loui have success, even happier that the team picked up a big two points regulation rallying for Derek who could not be in the lineup. Isn’t that just like Daniel, that rather than being consumed by his own milestone, he put his team first? Sounds familiar doesn’t it? The Sedins while deserving of immense respect do not go out looking for special recognition, they simply go out setting an example of what giving their best looks like every single shift. Last season, Henrik reached the 1000 points milestone with his brother not too far behind him in the hunt for the very same feat. This season, Daniel Sedin with a 3-point performance in Nashville, has joined his brother in the 1000 points club. Will we see another Sedin milestone this season or maybe early next season? One thing is certain, whether it occurs this year or next season, Canucks fans are incredibly lucky to get to witness both milestones. The day will come down the road, when the Sedins retire, but until that day comes, we should savour every moment of Sedinery that happens. Thank-you, Henrik and Daniel for 18 years and counting of incredible moments that will live long in the history of the Vancouver Canucks organization. Tomorrow, Canucks fans, we will celebrate Daniel, let’s make it THUNDEROUSLY loud in Rogers Arena when the puck drops and all game long. Go Canucks Go! Thank-you, hardly seems close to enough for what you have given this city for 17+ years, but I’m going to try. First things first, please know that neither one of you have ever once for a second ever let me or this city down. Fans from around the league have never really understood just how lucky Vancouver Canucks fans have been to have witnessed the entirety of your NHL careers. The road to success wasn’t any easy one, but you both persevered through it all. From playing the Swedish Elite League, to the NHL draft, to a tough start in the NHL, to the 2004-05 lockout, to Olympic Gold medals to pure dominance of Sedinery that led to back to back Art Ross Trophies to accumulating endless franchise records. From rookies to seasoned veteran leaders, you have both exuded professionalism on and off the ice and you have done it with incredible grace. More than 1200 games each over the last 17 years in Vancouver, you have embodied everything that it meant to have the heart of a Canuck. You were never meant to have success in the NHL, let alone play your entire careers together, lead the top line for an extended period or score many franchise goals or become inspiring pillars within the community or leaders on and off of the ice. The 1999 NHL draft forever changed not just the league but the fate of the Vancouver Canucks franchise. That day, no one could have predicted that the next 18 years would unfold in such a whirlwind of memorable moments. At the beginning no one was sure of what kind of impact you could or would go on to have in an NHL lineup. There was the constantly mentioned potential but until you both started playing, no one really knew what to expect. Most saw the underlying skill sets that were there but as is the way with a hockey market, when there were growing pains in the early days, quick judgments and assumptions were made. For a while, it seemed like maybe they had all missed the bigger picture and to tell you the truth, in those early days, I had to stop reading the newspapers. Most people wanted to see what I saw, the potential of what could be beyond those early days, but they also wanted to see the increased numbers and stats right away. It took some time, as is the case with any career, there were some growing pains as you navigated the waters on the way to success. It started slowly, and then suddenly all at once before all the “experts” could complete their critiques, the ever evolving Sedins were flourishing and leading the way. Through 17+ years, you have seen your fair share of coaches come and go but there were two in particular who saw and helped shape you to be the players you’ve both become. Marc Crawford and Alain Vigneault. Crow & AV always recognized your full potential and yes even made some unconventional choices like putting a pesky Burrows on a line with you one fateful February day that spurred a shift that season and a inspired a few seasons worth of highlights. The critics never stopped with their critiques but you both always found a way to respond with grace and constantly prove them wrong. You never let the negativity in. You always rose above it all, every step of the way. You have always done whatever was asked of you by the coaches and management. Every day, you were and are consummate professionals on and off of the ice. And when called upon to help within the community with Canucks For Kids, Canucks Autism Network, the BC Children’s Hospital or a myriad of other charities, you are always there. You give everything you have with every shift on the ice and every moment you are constantly giving to the community throughout your continued tenure with the Vancouver Canucks. Thank-you, thank-you, thank-you and thank-you again for 17+ incredible years of defying the odds, the ever persistent pursuit of your dreams, and inspiring so many more to never give up. I wish you knew just how big of an impact you’ve made on the team, on the franchise, on this city, on this province, and on the fans. You made your coaches proud. You made your teammates proud. You made this city proud. And you’ve made Canucks fans around the globe proud. IF this is it, IF this is the final hurrah, the final season of your career or IF you keep playing for another year or two, I am going to savour every single moment of Sedinery yet to come. And Henrik, when Daniel joins you, in the 1000 points club this season, we will cheer just as loud, or maybe louder because that means there are now TWO Canucks legends on the roster. And to THIS fan, no matter what happens at the end of this season or when the day comes that you decide to hang up your skates, you will always and forever be Canucks. When things get tough, all I have had to do was think of how you both always kept pushing forward despite the odds and I am reminded that when you tune out the negative, anything is possible. Thank-you doesn’t seem even close to enough but it’s what I have to offer. Henrik, and Daniel, THANK-YOU, for everything. Sedinery: The Beginning of the End? The rumour mills are in full swing as the 2017-18 NHL season edges ever closer. The latest whispers getting louder out there right now being the possibility that THIS is the Sedins last season playing in the NHL. Is this the end, or perhaps the beginning of the end of the phenomenon that is Sedinery? Just writing and even considering the truth in those questions hurts to think about. The day the Sedins stop playing hockey will be a hard day. What is Sedinery, you ask? It is the pure magic that has occurred when Henrik and Daniel Sedin have showcased their skill sets on the ice over the years throughout their careers. The Sedins have been a part of the fabric of the Vancouver Canucks since June 1999. In fact, it is impossible or very near impossible to envision the team when they are no longer on the roster. IF this is in fact their last season, from the day they were drafted (2nd and 3rd overall in ’99) to their veteran days, they have left an indelible mark on the Vancouver Canucks. From the outside, the Sedins are seen as “soft”, called “sisters”, and in general are viewed as players who are not elite. From the outside, because they have not won the Stanley Cup, often they are not considered worthy to be a part of that discussion. That’s the view from the outside. From the inside, as a fan who has witnessed their entire career from the beginning, those on the outside do not understand just how elite these two players are. In Vancouver, they are so much more that just two hockey players. They personify everything that it means to be a Canuck. They are brothers, they are leaders on the ice, they are leaders off the ice, they are resilient, they are well spoken, and they are pillars within the community. They didn’t have an easy path to success, they struggled early in their careers, and some wondered if they would ever make it. They have always been their own worst critics, and despite what so many on the outside have said or speculated, they always rose above it. I cannot tell you how many times over the years, even when they had their record breaking seasons (including back to back Art Ross trophies), that I read reports from both sides of the hockey world, that often many “experts” missed the truth of who the Sedins are. Yes, they would talk about the facts but they never quite understood the awesome that is seeing the Sedins play the game. The way they read off one another during a game, from shift to shift, on and off the ice, it is beyond magic. They seem to anticipate where the other is, often without even looking up, and making a play that to the outside would seem odd, but if you’ve been paying attention, you knew that some how that puck would find the other Sedin. Just as they always have, they’ve reached record after record in Vancouver, one after the other. It’s not often ONE player, let alone TWO on the same team will amass more than 1000 points. Only 86 NHL players including, Henrik have joined the 1000 points club. By season’s end, Daniel will once again follow his brother’s foot steps further into the Canucks history books when he scores his 1000th regular season point. Is it fair that they do not want to be traded and desire to retire as Canucks? ABSOLUTELY, they have more than earned that right to that decision. They have played the entirety of their careers in Vancouver, a place that has been where they’ve played hockey and a place that has become their second home. They have been a part of the team since their draft day. They have seen Vancouver through all kinds of seasons on the spectrum from terrible to record breaking, never wavering on their loyalty to the team or the city. Truthfully, in Vancouver, we do not deserve the Sedins, but we DO owe them the same loyalty and respect that they have always shown Vancouver. IF this is in fact their last season playing in the NHL, I plan on savouring every last moment of Sedinery as it plays out. Daniel Sedin. He has done it again. He’s set yet another record in the Vancouver Canucks history books. Yes, I know that this post is a few days late but that does not make Daniel’s latest feat any less impressive. 1110 regular season games. 348 goals. 576 assists. 924 points and counting. Goal 347 was THE goal that put Daniel ahead of Markus Naslund in the franchise record books. It came in a most timely matter during the third period against the Boston Bruins: (I challenge you not to be tempted to hit replay repeatedly). Sincerely, SEDINERY will never ever go out of style. One day we will look back and still be mesmerized by the twins unbelievable wizardry. Here’s to the many more goals and Sedinery moments still to come! ANNOUNCEMENT: I’ve got some exciting news to share with all of you. I have recently joined the writing team at The Canuck Way. This means in addition to me continuing to write here at NUCKSAID, now you will also find articles written by yours truly at TCW. The Canuck Way is another excellent source for news of all kinds relevant to the Vancouver Canucks. I hope you will continue to follow the journey with me here at Nucksaid and also join me and the team at The Canuck Way.